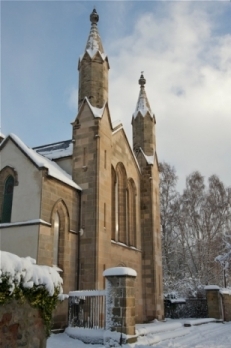 The Gordon Chapel in Fochabers dates from around 1830 and was designed by Archibald Simpson on the orders of The Duchess of Gordon. The Stained Glass windows, which is a precious feature of the Chapel was an Edward Burne-Jones design. Each window commemorates a member of the Gordon Lennox family. 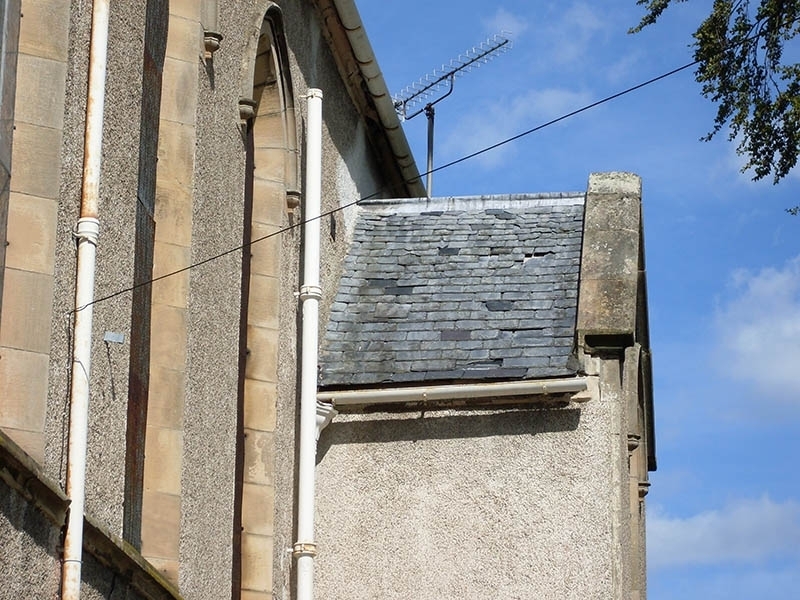 In the seventies and eighties some masonry repairs had to be undertaken to certain sections of the building. 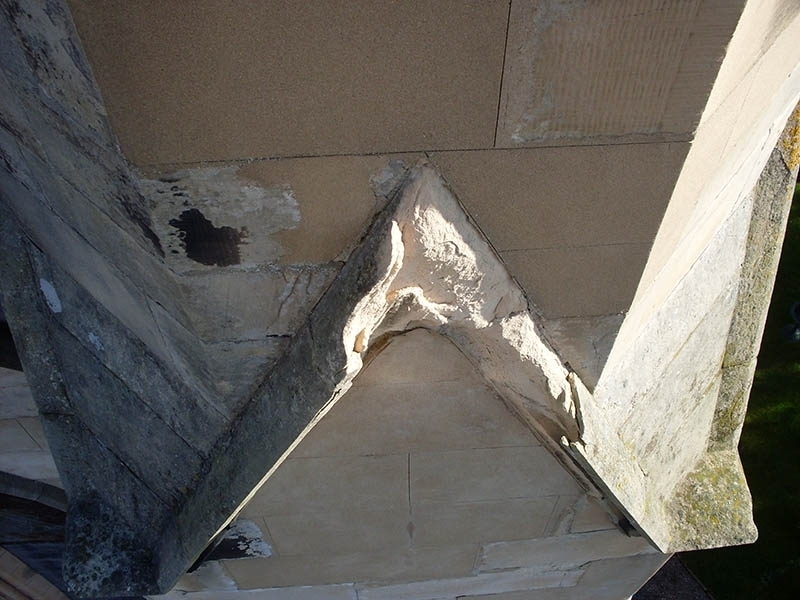 This included the Render and worn sandstone, as well as the mortar joints. 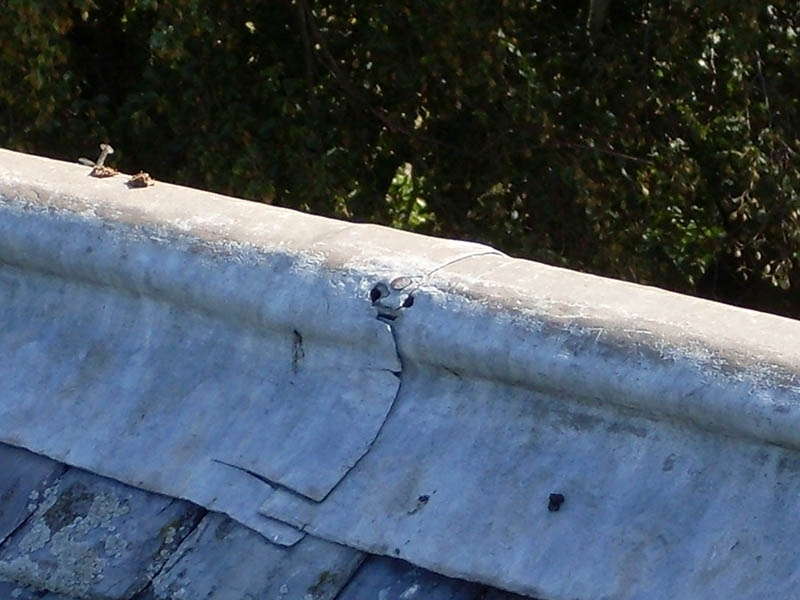 Unfortunately they were repaired using various mixes of cement mortars and ended up causing more damage than good. 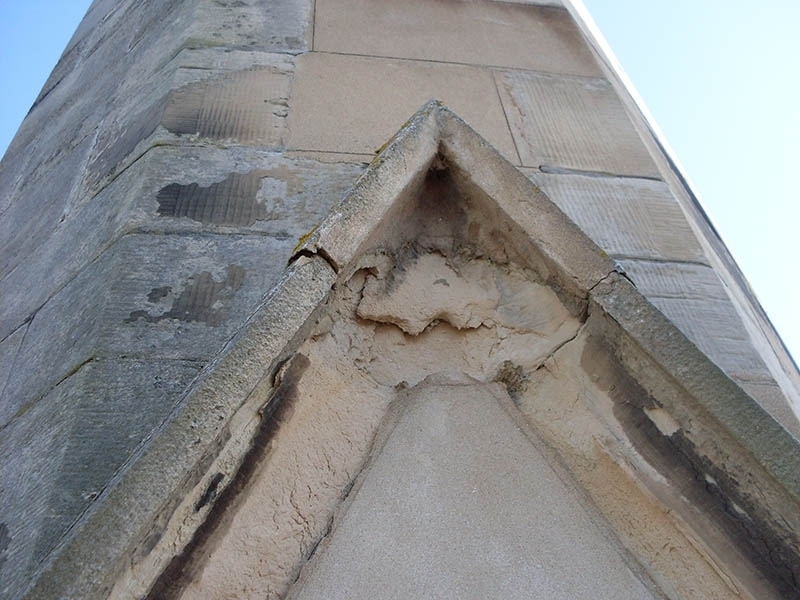 So by 2009 the cement repairs themselves required repair along with a substantial amount of the original sandstone which was succumbing to the effects of pollution and years of bad weather. 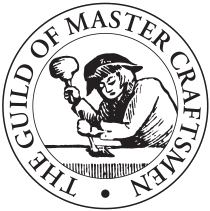 The work started in August 2009. 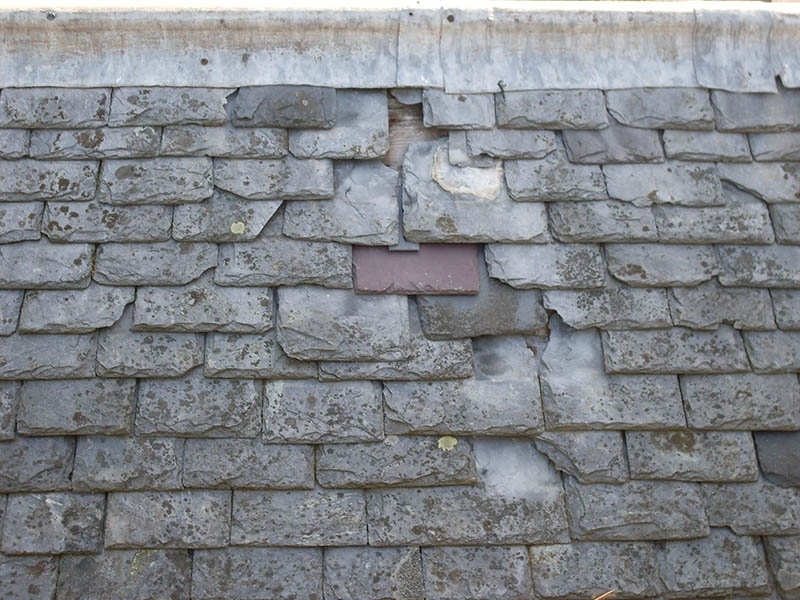 The first pictures show the failing external fabric of the building starting at roof level with the slates suffering from nail fatigue and porous cracking lead work. 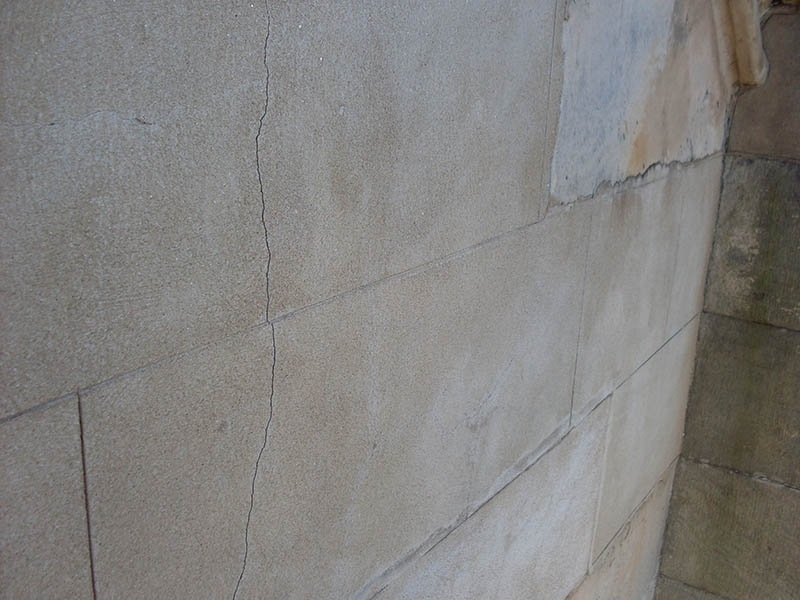 Also showing the failing sandstone sections, cement repairs and old cement harling which was holding in the moisture and causing problems with the internal plaster walls. One year later the project was completed. 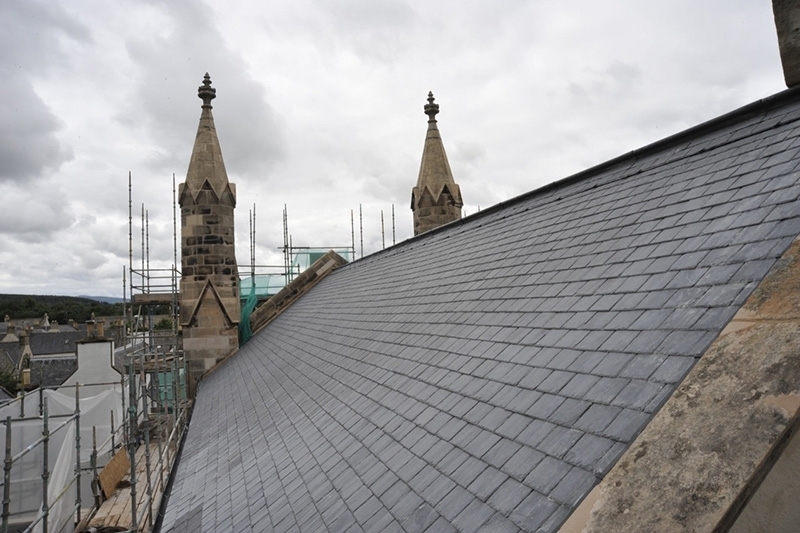 The building had a new roof, re-slated with Ffestiniog Welsh Slate and code 5 Roll Ridging lead and flashings all round. 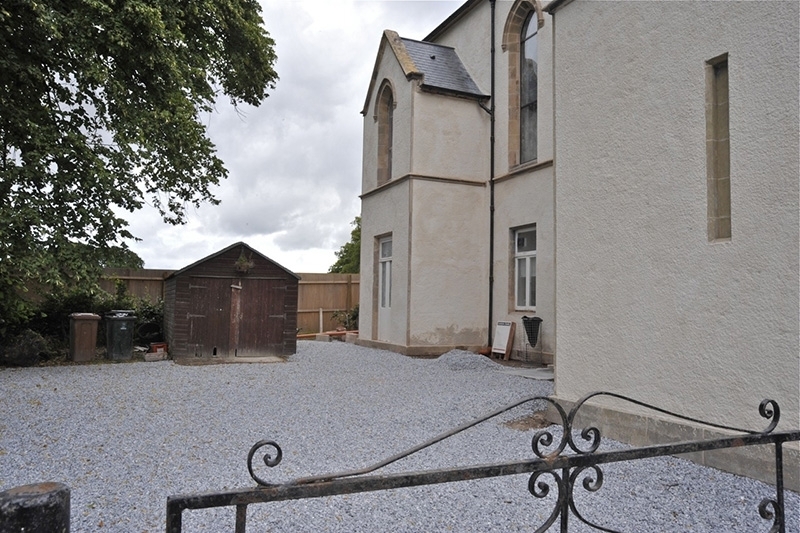 A new Lime Render consisting of lime putty, Otterbein NHL 2 mixed with Cloddich sand and aggregate, sprayed on and finished off with 5 coats of lime wash. 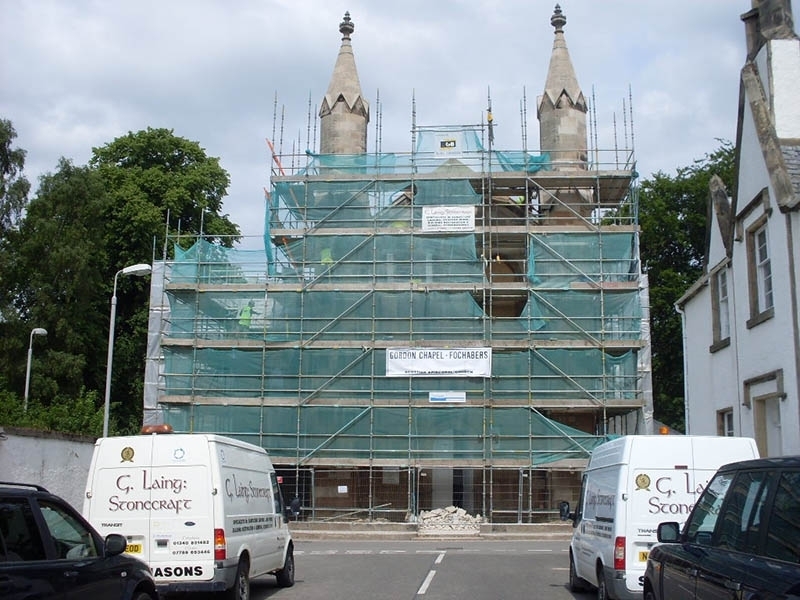 This render helped dry out the inner walls and maintains a breathable membrane. Another 2 No. 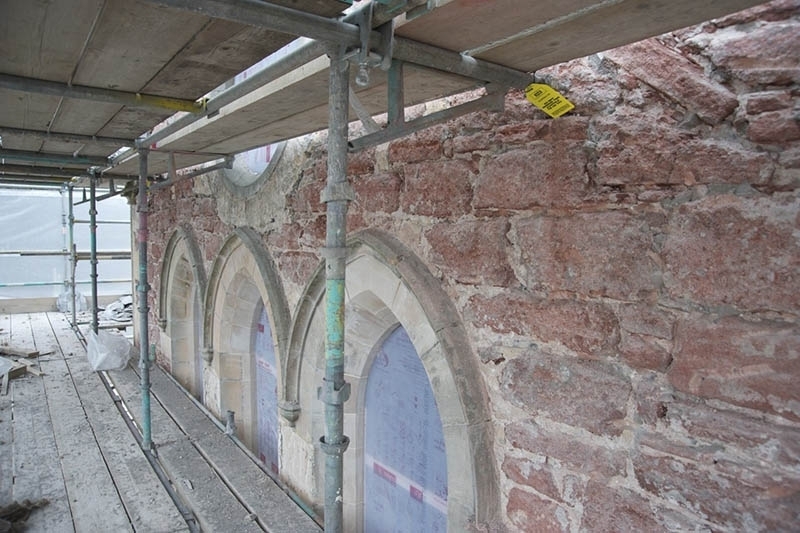 coats of lime wash to be applied in 1 Years time. 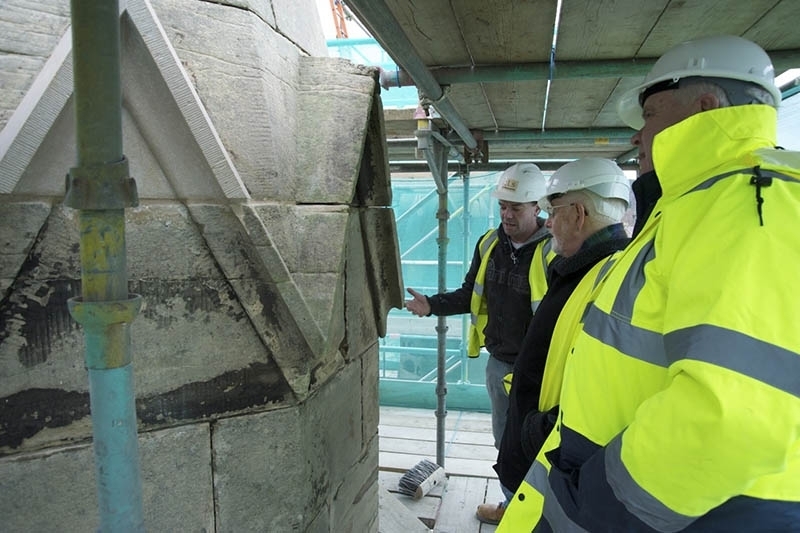 Also are pictures of the New Sandstone Indents at various locations throughout the Chapel, showing the different mouldings and tooled finishes. 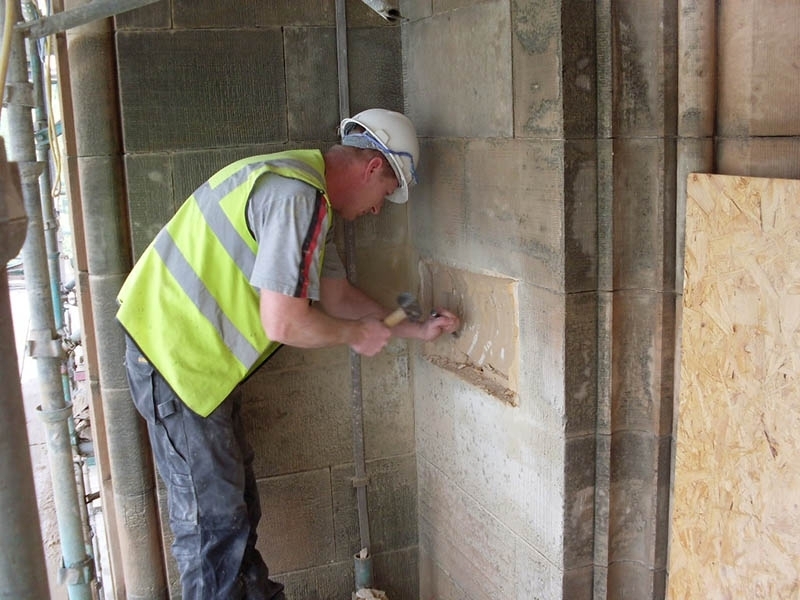 All joints were cleared of old cement pointing and re-pointed in a Traditional Lime Mortar. 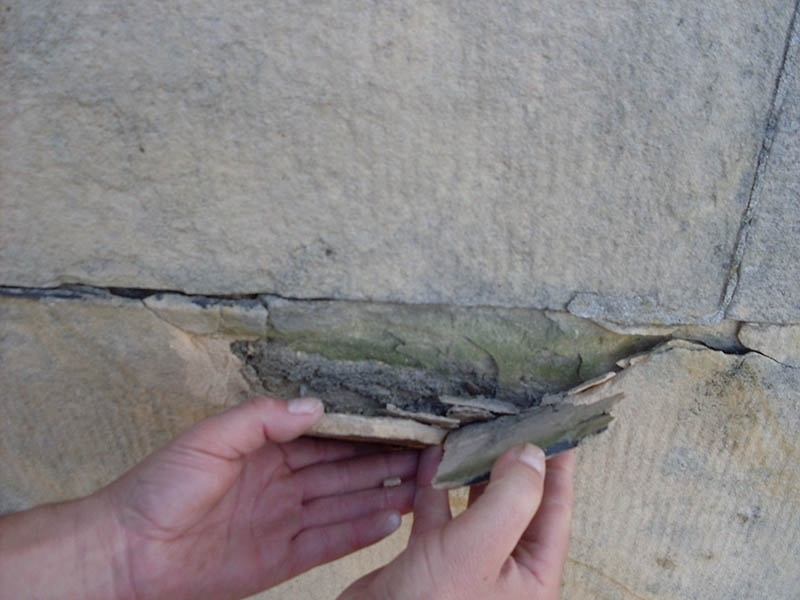 The Sandstone was from Clashach Quarry along the Moray Firth which was from the same vein of stone the original building fabric was built from.